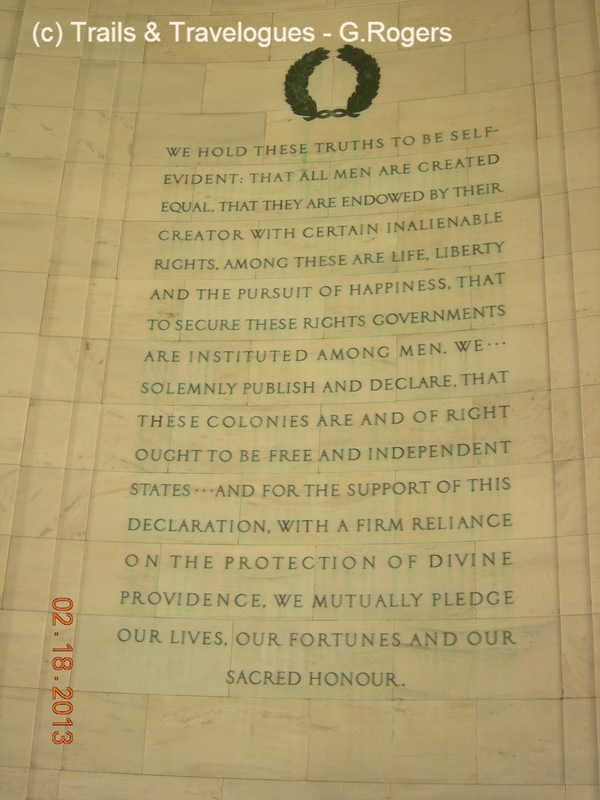 Another one of the most impressive sites worth visiting in DC area is the Jefferson Memorial, a presidential memorial built in honor of the 3rd US president, - Thomas Jefferson, - also known as the American Founding Father. 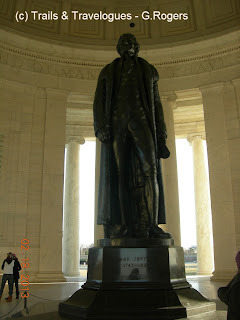 It is one of the most popular attarctions in DC, the fact that is is also located on the shore of Tidal Basin and surrounded by trees that becomes very beautiful and attractive every spring during the Cherry Blossom season! 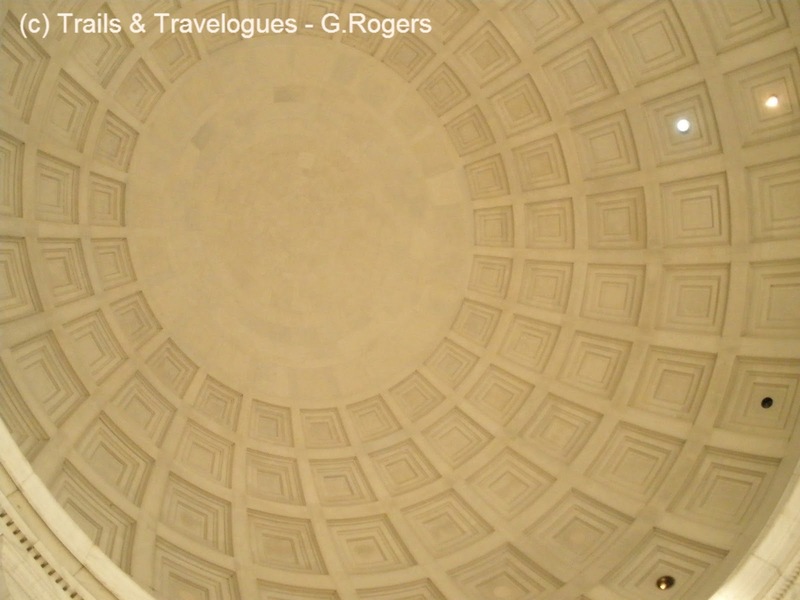 The shallow dome that can be seen above and inside the building. 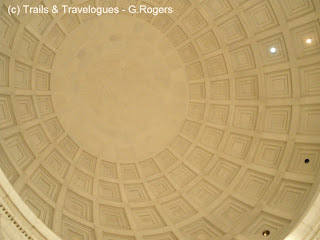 The memorial is a dome-shaped rotunda, composed of circular marble steps with a round colonnade of Ionic order columns, a portico and a shallow dome. One of the best views of the White House can be seen from the top steps of the memorial as well. 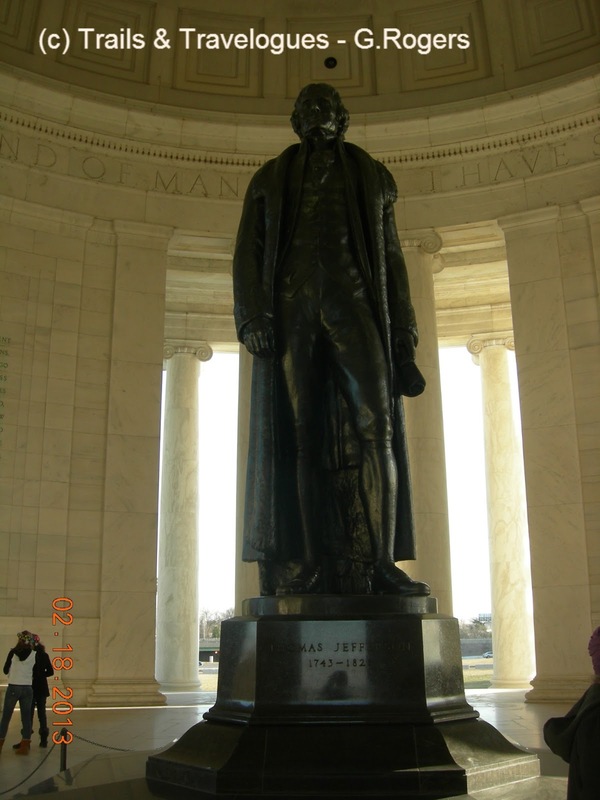 At the center of the dome, is a 19 ft. tall bronze statue of Jefferson. 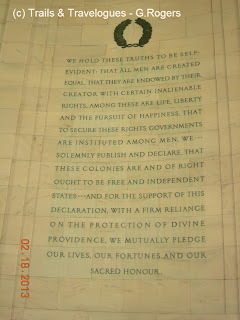 Surrounding his statue are the excerpts and passages from his writings and from the Declaration of Independence.